The new academic year is upon us and it is so exciting to see the students moving into their dorms! With the new year we also welcome new faculty to the various colleges and universities and they bring new perspectives, new research ideas, and lots of terrific energy! Colleges and universities are built on the faculty and the most junior faculty are those who have received their PhDs within the past 5 or 6 years and they are called Assistant Professors. In this blog, I periodically write what might be construed as an "advice column" and for many of these posts I get special thank yous. I have written on leadership on many occasions (even acknowledged by various Deans) and also on being an advocate for women. The latter was picked up by the WORMS President, Dr. Laura McLay, who recently gave an invited presentation, Five Observations on Women in Engineering, and referenced my post. She told me afterwards that the males especially appreciated the advocacy suggestions that I had suggested. The Isenberg School of Management at UMass Amherst has hired several new faculty and I have been very much enjoying meeting several of them over the past several weeks and getting to know then. They are terrific! Yes, I may be a bit "nostalgic" and am thinking back to the time when I was an Assistant Professor, fresh with my PhD from Brown University. I was very lucky, although, in those days, there was no formalized parental leave (so I had a child after becoming a Full Professor, but, through hard work, that promotion came only 8 years after my PhD and promotion to Associate Professor with tenure only 4 years after my PhD). There were also no teaching load reductions per se and I taught extra classes as an Assistant Professor w/o any added compensation, but to be a "good citizen" and because I was asked by my chairman at that time. However, I had support from senior colleagues, even in other departments, who would congratulate me regularly and, with their sense of humor, make it fun to come to work. We had regular newsletters that were disseminated to faculty so we were informed as to the goings-on. I very often would be one of the first to arrive in the building, having breakfasted in the Newman Center, whose opening I awaited at 7AM. Assistant Professors, who have not yet achieved promotion to Associate Professor, and tenure, work very hard and, in academia, typically, achievement in the three pillars of research, teaching, and service is what matters for promotions. But Assistant Professors do need support and kind words and collegiality can go a long way! In addition, Assistant Professors (and don't we all) also want to feel part of a community in which their hard work is valued and when they achieve, their achievements should be recognized. For example, administrators could and should send a congratulatory email note not just to the individual, but copy to the department and even to the school! It may take awhile to update websites and achievements ranging from getting grants, receiving best paper awards and other professional awards, and even press and media coverage, should be noted! Why is this so hard to do for some in the Internet Age?! Assistant Professors are ambassadors for academic programs and if they feel valued and recognized they will say positive things within the building and to the professional communities that they are part of. Happy Assistant Professors are more likely to stay and to not seek employment elsewhere. Given university investments in new faculty in terms of salaries and startup packages, is not recognizing the achievements of Assistant (and other) Professors a small price to pay? Besides, when faculty do outstanding work, the reputation of the institution grows and everyone benefits. Truly, don't you think that over time, those who feel recognized will do more for your programs and institutions? As an Assistant Professor recently told me, a university cannot thrive if we are all islands. So celebrate the achievements of Assistant Professors! 1. Disseminate good news regularly, including in personal messages that are copied to all faculty and even staff. This will bring smiles on the faces of many. 2. Do write a personal congratulatory note -- I have a collection in my offices, which are posted -- they continue to inspire me and to lift me up. 3. Send a small token of appreciation -- I have written about a former Dean of mine, Dr. Tom O'Brien, who was amazing in this way and he was so good at development (not surprising)! Bouquets of flowers would arrive at my door -- sometimes at home and sometimes at my office, accompanied by chocolate chip cookies for my daughter. 5. Communicate the goods news to others outside the institution, including alums, as appropriate, and through the right channels regularly. 6. Celebrate when Assistant Professors get promotion and tenure by broadcasting to the whole school! Let's build a community that will be the pride of the nation. If my readers have other suggestions as to how to support and recognize Assistant Professors, please let me know -- Thanks! When I heard the news that Seamus Heaney, the beloved Irish poet and scholar, and winner of the Nobel Prize in Literature, had died, I was transported back to 2000. The same day that I was to give my Distinguished Faculty Lecture at UMass Amherst, was precisely the same day, April 5, back in 2000, that Seamus Heaney was giving a reading a UMass Amherst and even the times were the same! As I recall, Professor Peg O/Brien, who is married to a colleague of mine, who has since retired, Professor Wynn Abranovic, was his host. Peg has written about Seamus Heaney. My lecture was Networks for Fun and Profit. I was worried that, given the competition with a Nobel laureate in Literature, that noone would show up to my presentation! 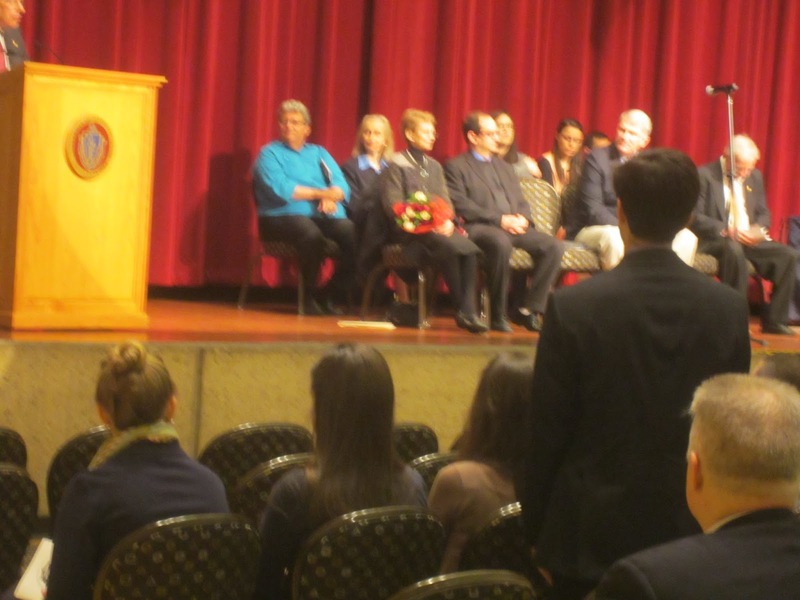 Luckily, I did have an audience, and it was such an honor to then receive the Chancellor's Medal afterwards. The dinner that followed at the Faculty Club (now the University Club) was attended by some close friends, several of whom have left. Our Provost at that time was Dr. Cora Marrett, who has served at NSF for many years and twice as its Interim Director. Also, Professor Vladimir Haensel and his wife, Herta, were in attendance. Professor Haensel was a recipient of the National Medal of Science. Both my Dean at that time, the inimitable Tom O'Brien, his lovely wife, Gena, who has since passed away, and my former chairman, Professor Nelson Lacey, also came as did my dear friend, Professor Kei May Lau, who has since left UMass and is at the Hong Kong University of Science and Technology.. I suspect that the Chancellor was hosting the dinner in honor of Seamus. Usually, when I am writing a book, I am so focused that I don't read other books during that period. This year, our Networks Against Time book was published and I heard the other day from a Springer editor, who is also a UMass Amherst grad, that it will be on display at the INFORMS conference in Minneapolis, which is exciting! Once our book was out and, since I was on sabbatical this year, it was time for some reflection, and that involved reading several books that I was quite interested in because of their authors. I write nonfiction -- books on network themes from transportation to supply chains to supernetworks and I am also drawn to nonfiction books, from those of a technical and professional nature to memoirs and, lately, to memoirs by women. One can get valuable advice from the latter volumes and compare your professional and life situation to those of others. The 3 books that I recently read (my summer reading, in part) are displayed in the photo above, which also features some lovely craft pieces received as gifts from a former doctoral student of mine, which are from the village in his home country. Yes, I had to read Sheryl Sandberg's Lean In, given all the media attention and commentaries on it, and was very interested to see whether or not it would "speak" to me as an academic, who also has had several years in industry in high tech consulting for the defense sector. Many pages of Lean In I marked with colorful Post-it notes. Sheryl, the Chief Operating Officer of Facebook, spoke very honestly, in my opinion, of the challenges that she faced even with such mentors as Dr. Larry Summer, the former President of Harvard, whom I met as a Fellow of the Radcliffe Institute for Advanced Study. I would love to hear back from female academics who have read this book to see what their opinions of it are! If you work on interesting science, it is essential to schmooze with other scientists in your research field, and find out what they are doing at the time they are doing it. Your own work will not be current if you wait until your colleagues' results are published, since this occurs at least several months after the work is completed. Attending meetings is essential. The meetings take place at venues throughout the world. They are organized in such a way that no group has a recurring burden, nor a disproportionate influence, in running them. It is part of the fun of physics, and of science generally, that its practitioners become world travelers, well acquainted with international airports and with watering holes. Although Fay could never have children, she had a long, loving marriage and her scientific community was her extended family and did she socialize! Anna Quindlen, the Pulitzer Prize winning author (for commentary) and former columnist, has authored many books, including novels. As a mother of 3 out of college children, she, typically, wrote and still does from 9AM until 3PM and her book, Lots of Candles, Plenty of Cake, I very much enjoyed. 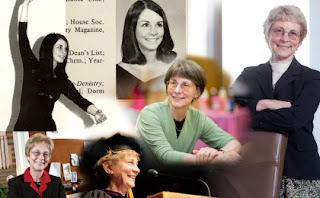 Anna Quindlen spoke at a ceremony in NYC at which I received a Young Achiever's Award from the National Council of Women of the United States, Inc., a few years after my receipt of a PhD from Brown University. In her book, she speaks on the importance of friendships, lending a hand to others, and how far women have come, among several other themes that any female can relate to. I especially enjoyed the afterword in which Quindlen engages in a conversation with her friend, Meryl Streep. The other day I saw a colleague of mine and asked him what was he looking forward to, given that the new academic year was about to begin. The response surprised me -- he said "January." He was serious and was not joking. I know that, sometimes, perhaps, one may not feel valued by one's immediate organization and that can include one's school or university but one has to look at the bright side of things and make the most of any situation. As an operations researcher and management scientist, I try to optimize the resources that I am given and to take advantage of any opportunities and, of course, make opportunities for students and colleagues (as much as is feasible). One needs to be resilient! I have written a lot on network vulnerability and robustness from supply chains to transportation networks and the Internet with fabulous former students, who are now great colleagues at other universities from Dr. Patrick Qiang to Dr. June Dong, as well as with my collaborators from Dr. Patrizia Daniele of the University of Catania in Italy and Dr. David Parkes of Harvard University, among many others. Besides getting ready for the new academic year, which begins at UMass Amherst next week, I am also working on a presentation for a workshop that I am very excited about. 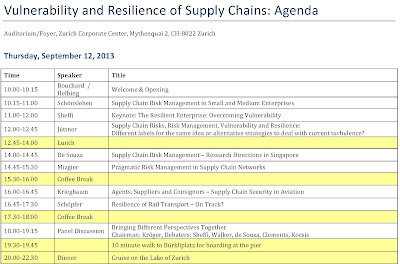 The workshop is on Vulnerability and Resilience of Supply Chains and it will take place at the ETH Risk Center in Zurich, Switzerland, September 12-13, 2013. Below, I have posted the agenda, which looks fabulous, and should be an outstanding workshop in terms of presentations and discussion -- so looking forward to it! More information on the workshop is available from the workshop website. Many thanks to all those who have put the agenda and associated activities together! This afternoon, I attended a lecture by Professor Ved Prakash, in the beautiful new Integrated Sciences Building at UMass Amherst, with one of my doctoral students who is from India. The lecture was on Indian Higher Education System and its Challenges in the Context of Globalization. I saw quite a few administrators in the audience, and our distinguished guest was hosted by our Chancellor Kumble R. Subbaswamy. The lecture was very interesting and well-attended and I took many notes. The reception that followed enabled further discussion. Since it was a nice day I walked home back from UMass through the woods and fields -- the locals know this pleasant route. Then, in checking messages I was stunned -- Dr. Priscilla Clarkson, an amazing researcher and the Dean of Commonwealth College, died yesterday of breast cancer, which she had been long battling. UMass issued a release on this very sad news, as did Commonwealth College. The lovely collage is from the Commonwealth College website. And just yesterday, my husband and I took a walk on the UMass campus specifically to see the beautiful new Commonwealth College buildings with classrooms, offices, and even dormitories. And, of course, we talked about Priscilla! The last time that I saw and spoke with Priscilla was on April 14, 2013, at the Phi Kappa Phi Honor Society induction ceremony, which was led by Professor Don Katzner of the Department of Economics. Priscilla was recognized for her service with a lovely bouquet of flowers and also gave an award to Dr. Patty Freedson, the chair of the Kinesiology Department. April 14 was the birthday of my dissertation advisor at Brown University, Dr. Stella Dafermos, and she also succumbed to the same illness as Priscilla at age 49. The photo below I am including in this post since I still cannot believe this news. I will miss our conversations, Priscilla, as well as your leadership and kindness. Thanks for all that you have done for science, for women, and for students of the Commonwealth of Massachusetts. Dr. Priscilla Clarkson is seated in the front row with the bouquet. 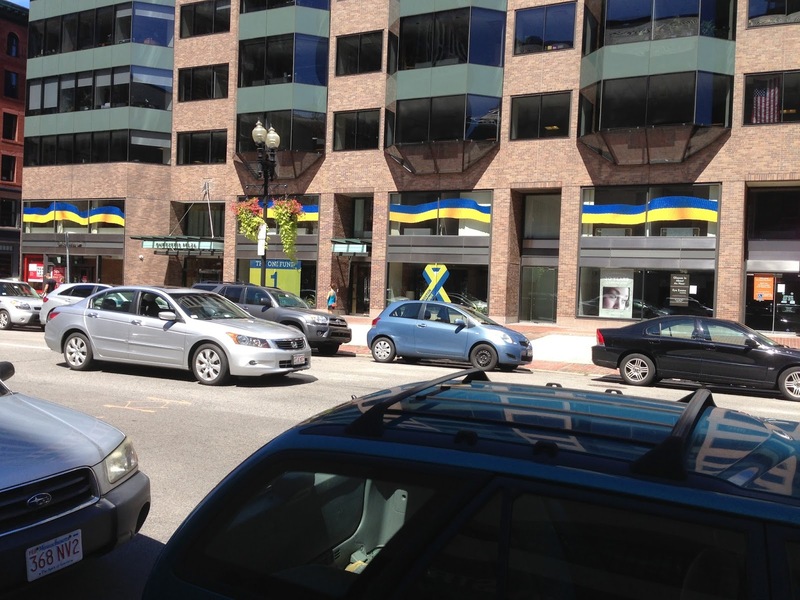 I was hoping to see Dr. Clarkson at some ribbon-cutting ceremony for the Commonwealth College new complex of buildings or at some pleasant UMass activity or event. Rest in peace, great one -- you made a difference and you will be missed! Everyone wants to and needs to be part of something bigger and to feel productive and be a recognized as a valuable contributor to an important organization. When you wake up each morning, is it with a smile on your face and excitement, energy, and enthusiasm for the day and your projects? We are part of communities -- from the colleges and universities that we, as academics, teach and conduct research at to the companies that the practitioners and leaders in our profession in industries as varied as healthcare to transportation and logistics to financial services and high tech and consulting (to name just a few) contribute significantly to. We are also, many of us, members of professional societies, which provide us with essential communities and from which we gain strength in so many ways. With possible challenges in our immediate academic and corporate organizations due to continuing change, economic pressures, fluctuating perspectives in terms of administration, and even our own values and dreams, professional societies can provide sustenance and support for our entire professional lives. In addition to the camaraderie and networking opportunities, professional societies provide avenues for continuing education and personal and professional growth. one receives continuing education in many forms -- information and knowledge from conversations with colleagues and from lectures and talks with additional resources provided by INFORMS such as podcasts and now even INFORMS TV! Moreover, through INFORMS membership, one can find out about new jobs and opportunities -- terrific for students and for those seeking greener pastures or just new challenges. Finally, with INFORMS' new CAP (Certified Analytics Professional) program you can gain valuable new credentialing. And, one of the first to take the CAP exam, Dr. Irv Lustig of IBM, explains the benefits of this exam in his interview with Barry List, the Communications Director of INFORMS in the video below. Irv, by the way, was an undergraduate at Brown University, when I was a PhD student there, and I was his TA for Professor Stella Dafermos' OR course (she was my advisor). Needless to say, Irv was very smart and went on to Stanford to get his PhD in OR with Professor George Dantzig, as his advisor. And, in closure, I emphasize that learning and gaining strength from our professional society communities can also be a lot of fun! Robert Shiller, the Sterling Professor of Economics at Yale University, wrote a wonderful OpEd in last Sunday's New York Times: "Why Innovation is Still Capitalism's Star," in which he spoke about the company he founded with Karl Case of Wellesley College (I used to attend seminars at Harvard when I was a Visiting Scholar and Associate Professor at the Sloan School and School of Engineering, respectively, at MIT, at which Karl would be present). The company was sold but its "products," now known as the S&P/Case-Shiller Home Price Indices, are very often used and referred to. Long before I started any commercial ventures of my own, I received some federal government support — in the form of National Science Foundation research grants, awarded to me decades ago as a young professor. They allowed me to do research, and though it was not directly related to my later business endeavors, the process developed my expertise and reinforced a sense of entrepreneurial opportunity. These grants were awarded competitively, based on the quality of the proposals, and gave me experience with a system focused on creating opportunities for those who try hard. Later, from 1983 to 1985, I evaluated others’ proposals when I served on the foundation’s panel for economics. Observing the process from the government side convinced me that the foundation really works. Maybe it’s because the panelists are chosen from successful scientists, who serve anonymously out of public spirit. The first year that I was at MIT, 1989-1990, I was funded by the National Science Foundation's Visiting Professorship for Women, and was based at the Center for Transportation in the Department of Civil Engineering (Building 1 for those of you familiar with MIT). Besides teaching a course there and doing a lot of research, I also organized a Women in Operations Research (OR) Speaker Series, which took place at MIT's Operations Research Center, located on Amherst Street (which made me feel at home). I was following in the footsteps of my dissertation advisor at Brown University, Professor Stella Dafermos, who had also had an NSF Visiting Professorship at MIT, a few years prior to me. My readers know that she was the second female in the world to received a PhD in OR! The receipt of that NSF grant, plus 3 more, early in the new millennium, including a large one with two females: professors, June Dong and Patricia Mokhtarian, gave me the confidence needed to take risks with my research, and engendered an entrepreneurial spirit. 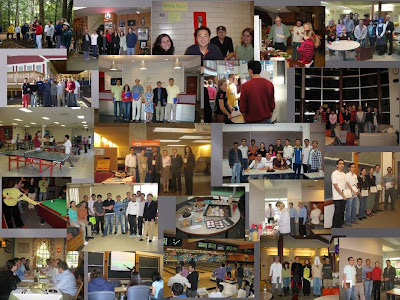 That large NSF grant, Decentralized Decision-Making in Complex Network Systems, along with two AT&T Industrial Ecology Fellowships, enabled me to establish the Virtual Center for Supernetworks at the Isenberg School of Management in 2001. An additional stimulus behind the Supernetworks Center was the publication of my book, with June Dong, Supernetworks: Decision-Making for the Information Age. In 2003, under the leadership of our great Dean at that time, Dr. Tom O'Brien (with whom I had such a nice conversation the other day), I was given lovely space to create the Supernetworks Laboratory for Computation and Visualization. Our new Dean, Dr. Mark Fuller, now holds a Chaired Professorship in Tom's name. And, just this past week, I received the letter from our Provost, James Staros, and our Vice Chancellor for research and Engagement, Mike Malone, that the UMass Amherst Evaluation Committee for Centers & Institutes has recommended the continuation of the Virtual Center for Supernetworks for another 5 years. The evaluation cited many of the activities of the Center and its Associates, which have even included undergraduates conducting research under NSF's Research Experiences for Undergraduates (REU) program. As I have written before, in the context of Steve Jobs, risk-taking is essential to innovation, and support, such as that provided by NSF, gives females concrete evidence and financing that they can lead and even establish a center. And, now, we are involved in another truly thrilling NSF research project, Network Innovation Through Choice. Thank you, NSF, for supporting scientific research without boundaries and for recognizing also the contributions of females to scientific innovation and discoveries! Today, two of my female doctoral students, Sara Saberi and Dong "Michelle" Li, and the PI on our joint NSF grant, Professor Tilman Wolf, and I finished a paper: A Dynamic Network Economic Model of a Service-Oriented Internet with Price and Quality Competition, for the Network Models in Economics and Finance conference volume, Athens, Greece, edited by Professors Bautin, Rassias, and Pardalos, Springer, Berlin, Germany. This research, was motivated, in part, by the Future Generation Internet(FGI), which will need to handle a spectrum of requirements of next-generation applications. In our model, both content providers and transport network providers have, as their strategic variables, the prices that they charge and their quality levels. And, in the paper, in order to model the quality of transport network service, we make use of the Kleinrock function, so that the greater the demand at higher quality, the larger the amount of bandwidth used. And, just in time, the August 2013 edition of IEEE Computer magazine arrived at our door, which has a fabulous interview with none other than Dr. Leonard "Len" Kleinrock of UCLA, conducted by Charles Severance. The full interview, Computing Conversations, is online and I watched it this morning. Dr. Kleinrock is a recipient of the National Medal of Science and numerous other awards. He is also an INFORMS Fellow, for the OR/MS geeks out there. In the interview (and hardcopy article of its highlights) Kleinrock speaks of how he needed to make a mathematical simplifying assumption of independence in order to make his queuing model of round-robin time-slicing for data communications in order to protect short messages from waiting behind very long ones now called "packet switching" tractable. This was his PhD project at MIT under the renowned Claude Shannon. Then he was worried as to whether the assumption skewed the theoretical results, in which case they might not be useful in practice (and he would not get his PhD). So, Kleinrock built simulation software (this was back in the early 1960s) which consisted of a 2,500 line assembly language program. I, honestly, had a deja vu experience and remembered my first project in industry, writing AN/UYK assembly language code to assist in submarine transiting -- something I have written about. He ran the code, tested it with and without the simplifying assumption, and the results were "amazingly close." He received his PhD in 1962 and McGraw-Hill published his dissertation as the book, Communication Nets: Stochastic Message Flow and Design, in 1964: ISBN 978-0486611051. He noted in the interview that the book was a clear road map as to how to build the scalable shared wired and wireless networks we take for granted today... all that was needed was to get to work and build a network. And then, according to Kleinrock: But nobody cared. I went to AT&T, the biggest network of the time, and explained: "You guys ought to give us good data communications." The answer was, "What are you talking about?...and, finally, "Little boy, go away." And so little boy went away and with others developed this technology that ate AT&T's lunch. Lincoln Labs supported him for his Master's and PhD and then, when he was expected to return there to work, was told that he should explore other options -- very generous of Lincoln Labs. I am forever grateful to both Systems Consultants and Aquidneck Data Corporation in Rhode Island for supporting me while I pursued my Master's in Applied Math from Brown University (and also worked full-time and ran marathons). One of my projects at the latter was developing queuing models for local area networks of different topologies. Kleinrock's application for a position at UCBerkeley was lost because there was a switch in chairmen but a professor on sabbatical at MIT suggested UCLA and he has been there for 50 years! His enthusiasm and wisdom shine through in his interview, and, at the very beginning, he even talks about planning to have his first child in 1958 -- how nice and thoughtful of him. More info on Kleinrock can be found here. Who has not been inspired, supported, or mentored by a special teacher or professor? I will forever be grateful to my doctoral dissertation advisor, Professor Stella Dafermos, who gave me a lifetime of advice as my Professor at Brown University but who only lived until age 49. About 3 years ago, I was asked to contribute to a volume in the Annals of Operations Research in honor of Professor Cyrus Derman, who was a leader in the rise of the Department of Industrial Engineering and Operations Research at Columbia University. The invitation came from Professor Michael Katehakis of Rutgers University. However, during the preparation of the volume, Professor Derman passed away in April 2011 at age 85, so the volume became a memorial volume, which has now expanded to two volumes. I recently received the following message from Professor Mchael Katehakis, whose doctoral dissertation advisor was Professor Cyrus Derman. We now have 50 (!) accepted papers and about 1000 pages. Contributors include: L. Shepp (Wharton), I. Olkin (Stanford), A.F. Veinott Jr. (Stanford), E. Denardo, (Yale), D. Bertsekas (MIT), A. Federgruen (Columbia), R.R. Weber (Cambridge), P. Kolesar (Columbia), P. Zipkin (Duke), H. Vincent Poor (Dean of Engineering School, Princeton Univ. ), K. Sigman (Columbia), Flora Spieksma (Leiden) , L.C.M. Kallenberg (Leiden) M. Sobel (Case), Adi Ben Israel (Rutgers), S.M. Ross (Univ. of Southern California and emeritus of Berkeley), A.N. Burnetas (Athens Gr.) W. Powell (Princeton Univ. 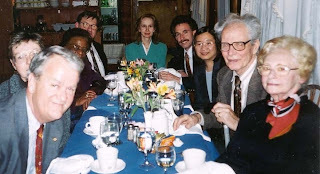 ), Onésimo Hernández-Lerma (Mexico), Feinberg E. (SUNY) , C. Eaves (Stanford) Melamed, Katehakis (Rutgers) and many others. The paper that we contributed to the volume, and that we worked very hard on, is: Supply chain networks with global outsourcing and quick-response production under demand and cost uncertainty, Zugang Liu and Anna Nagurney, in press in the Annals of Operations Research. Our paper will appear in the first volume. More information can be found in: Optimization under uncertainty: costs, risks and revenues- Cyrus Derman memorial volume I Michael N. Katehakis, Sheldon M. Ross, Jian Yang, who are the Guest Editors. On the life and work of Cyrus Derman Michael N. Katehakis, Ingram Olkin, Sheldon M. Ross. And, not to be missed, is the following: Some memories of Cy Derman by Alvin E. Roth. In the manner of undergraduates, I didn’t have a clear idea of what my teachers did. But I recall admiring Cy Derman’s attitude: he seemed not to take himself too seriously. I recall he wore turtleneck shirts and talked about tennis, and summers at Stanford. When it came time to think about graduation, Cy urged me to think about grad school in OR, and volunteered to write a letter for me. Some time later, in a reflective moment, he said something to me like “I wrote you a very good letter. I’m not exactly sure why; you didn’t do all that well in your courses. But I have a feeling that you might be good at research.” Cornell and Stanford were the programs he recommended, and when I was accepted at both, his preference was clear, and I followed his advice, which set me on a path I’m still following. We look forward to its publication, which I am told, should be soon! Specifically, there's one thing I'd like your expertise on: So many people think "using game theory" in negotiations is simply a matter of being as hard-nosed as you can to get the best deal. And yes, sometimes that's the route to go. But how would you advise manufacturers to use game theory in supply chain negotiations if they're genuinely interested in a long-term relationship with a supplier? Is it okay to leave some value on the table now if you're fairly sure it will pay off later? I was very impressed that this journalist had realized that elationships are extremely important in supply chains (and, I might add, also in financial networks -- just think of Canada vs. the US in terms of the financial crisis of 2008 and how banks handled transactions with customers). 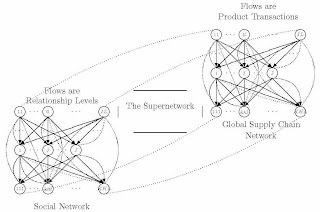 Dynamic Supernetworks for the Integration of Social Networks and Supply Chains with Electronic Commerce: Modeling and Analysis of Buyer-Seller Relationships with Computations, Tina Wakolbinger and Anna Nagurney, Netnomics 6: (2004) pp 153-185. 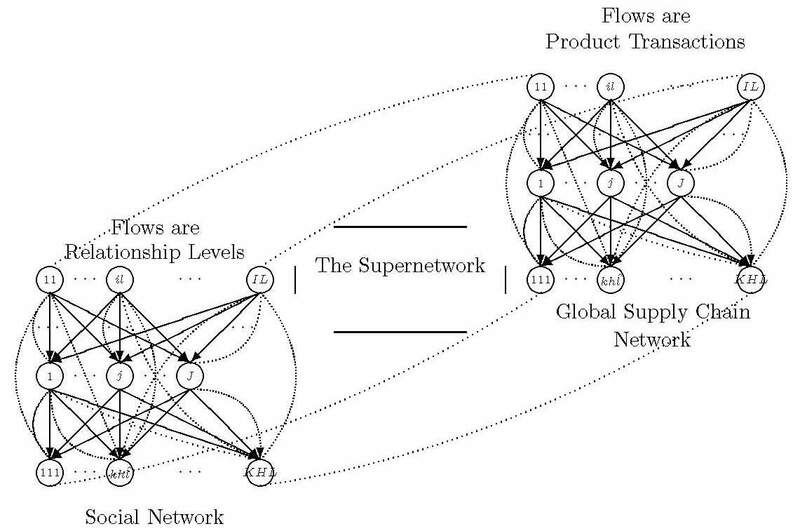 Financial Engineering of the Integration of Global Supply Chain Networks and Social Networks with Risk Management, Jose M. Cruz, Anna Nagurney, and Tina Wakolbinger, Naval Research Logistics 53: (2006) pp 674-696. In these game theory supply chain studies we capture the relationship production cost associated with different agents (say, manufacturers and retailers) who are interacting, the value of their relationships, as well as the risk incurred that is associated with transactions, with the latter depending on the relationship levels. For example, if the relationship level is high (that is, the relationship is strong) then the risk associated with the transaction would be lower. Thus, firms, by investing in relationships may lower their transaction costs as well as the risks. And, as the journalist surmised, there is an underlying dynamics to such interactions between and among the various decision-makers in a supply chain. Through our game theory math modeling and associated algorithms and computations we can trace the evolution of the relationships and product flows along with the incurred profits until a Nash equilibrium is achieved, which gives us the equilibrium (optimal) product flows and relationship levels. Jose M. Cruz, European Journal of Operational Research 184: (2008) pp 1005-1031. 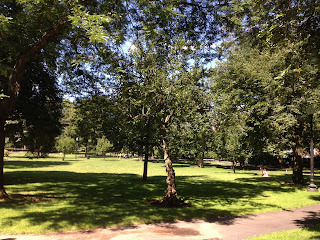 I was in Boston yesterday on a gorgeous sunny Sunday. 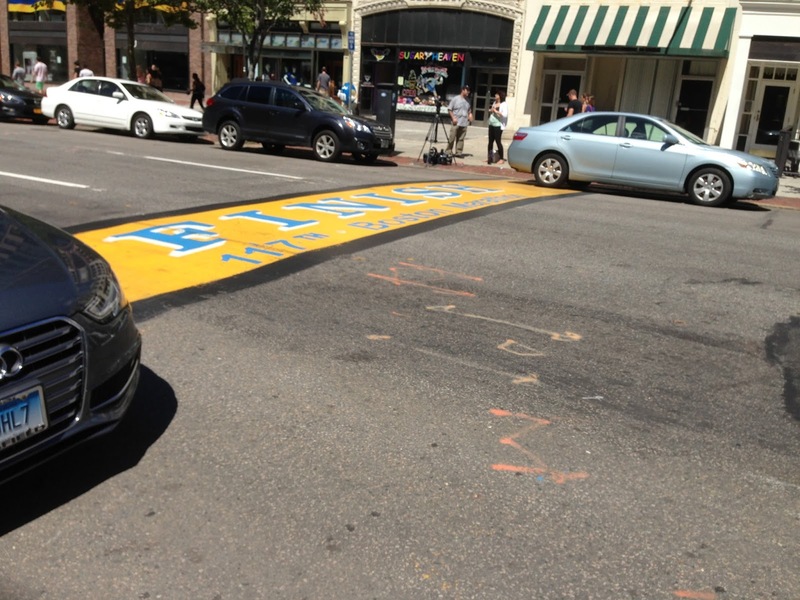 This was my first time back since the Boston Marathon bombings on April 15, 2013. I have been spending a lot of time in Sweden, as part of my sabbatical this year and, upon my return to Massachusetts, knew that I had to go back to Boston to visit the locations of the bombings and to pay tribute to all those who have suffered so much. The shock of that day continues but, as I have written on other occasions, New Englanders are resilient. 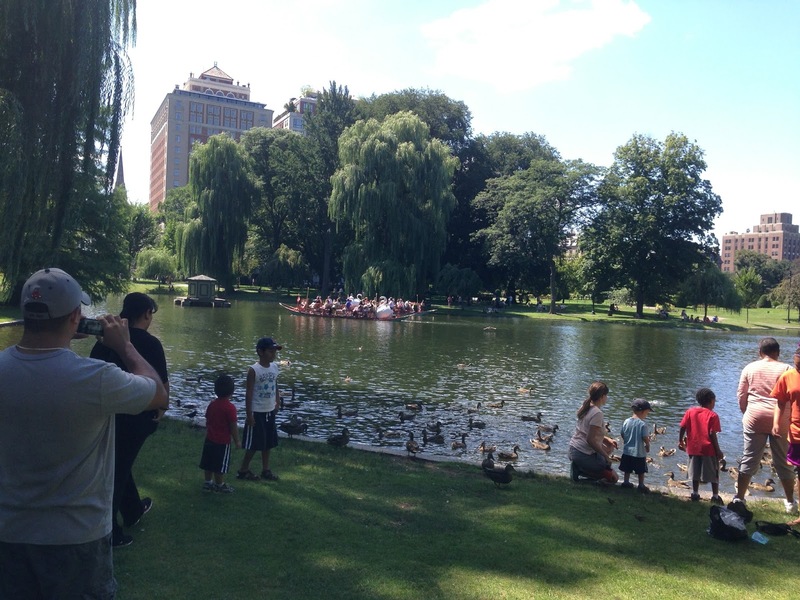 In the photos below, taken around the Boston Common yesterday, I tried to capture the pure joy of the people in Boston and the beauty of nature coupled with the architecture and landscaping. I also meandered on Boylston Street and stood close to the marathon finish line where the two bombs had exploded that day a few seconds and just over 200 yards apart. At the next INFORMS annual meeting, which is taking place in Minneapolis, I will see one of the Boston marathon runners, Professor Alla Kammerdiner, from New Mexico State University, who invited me to speak in a session that she organized for the conference on cybersecurity and big data. She managed to finish the race before the bombs struck and then heard the news as she was making her way back to her hotel. 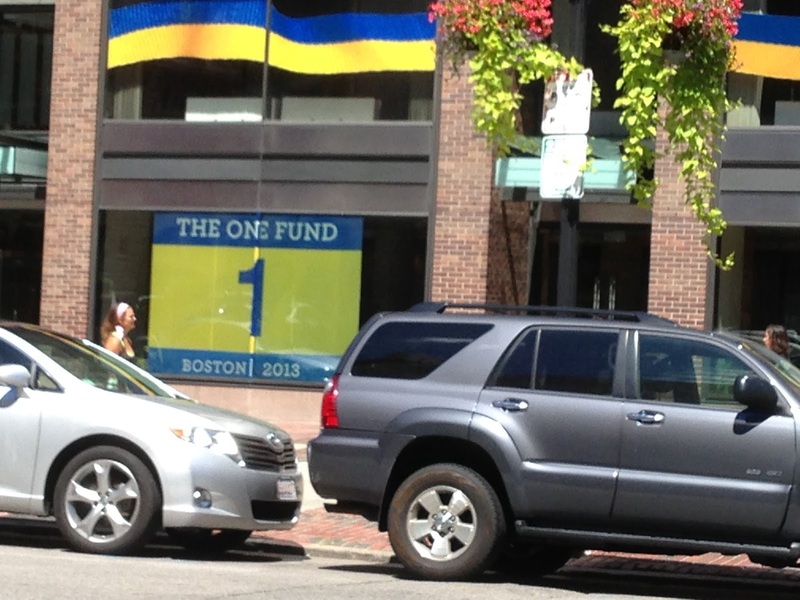 Yesterday, I also saw the headquarters of The One Fund Boston, which has raised over 60 million dollars to assist the victims and their families. 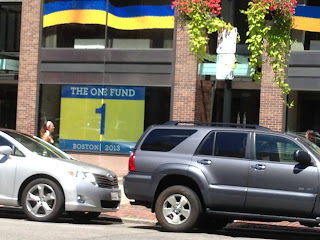 The administrator of One Fund Boston is the UMass Amherst alum, Ken Feinberg. I heard him speak on April 27, 2013 at the UMass Rising Gala in Amherst. He is an amazing speaker and has been an administrator of several other well-known victim funds. And, coincidentally, I stopped at the Four Seasons hotel to catch my breath and the staff was setting up for a wedding. Only after I returned back to Amherst, did I find out that the wedding was that of the son of Professor David Simchi-Levi of MIT, who is well-known in operations research and supply chain circles, and his wife, Ethel. The wedding announcement was in The Sunday New York Times. I congratulated David with a hearty Mazel-tov! Beautiful Boston is back and it felt really good to be back in Boston! Quality of its products is the basis of a firm's reputation. And, needs for improvements in product quality drive innovation. Quality is what we, as consumers, seek in the food that we eat, the clothes that we wear, the toys that our children (and, perhaps, even we) play with, the latest high tech products that we crave, the life-saving and prolonging medicines that those in need take, the cars that we drive, the planes that we fly in, the homes that we live in and the appliances that we use, and, of course, the air that we breathe. As supply chains have become more global the news about quality product shortcomings around the world is reaching beyond borders and is shocking from the Bangladesh disasters and fast fashion to the adulteration of milk and infant formulas to the heparin adulteration which led to a pharmaceutical identity crisis, to the mysterious food-borne illness from lettuce served at Red Lobster and Olive Garden, to name just a few. Moreover, the manufacturing processes themselves may lead to the worsening of the quality of the air and the environment as has been well-documented, especially, most recently in China.. Many firms are identified by their products and their products are their brands. Game theory can illuminate not only which supplier a firm should select but also whether to outsource or to manufacture/produce the product in-house and the associated impacts on costs, revenues, and profits. But game theory can help firms to do even more in terms of quantifiable analysis and evaluation and this is why game theory is so powerful. It enables us to quantify the loss in a firm's reputation through a disrepute cost if the quality of the delivered product is substandard. It is essential to capture the possible loss in reputation as we have done in two papers. In the first paper, we focused on the pharmaceutical industry, and in the second, we captured competition among firms with outsourcing options, which is applicable to many different industries. In the latter, firms compete in quality and the firms that they possibly outsource to compete in prices and quality, as well. However, it is the original firms' reputation that gets damaged if the outsourced product is lower in quality. The first paper noted above is Pharmaceutical Supply Chain Networks with Outsourcing Under Price and Quality Competition, Anna Nagurney, Dong Li, and Ladimer S. Nagurney, in press in the International Transactions in Operational Research. Here we assume that the original firms have perfect quality, whereas the firms that they outsource to compete on quality but they seek to maximize their profits. The second paper is A Supply Chain Network Game Theory Model with Product Differentiation, Outsourcing of Production and Distribution, and Quality and Price Competition, Anna Nagurney and Dong Li. In it, we propose both static and dynamic supply chain network game theory models, whose solution provides each original firm with its optimal in-house quality level as well as its optimal in-house and outsourced production and shipment quantities that minimize the total cost and the weighted cost of disrepute, associated with lower quality levels and the impact on a firm’s reputation. The algorithm that we propose and implement tracks the dynamic trajectories in discrete time of the evolution of the product flows, quality levels, and prices over space and time until the equilibrium state is achieved. We provide numerical examples that illustrate the model and computational framework. Also, in our paper, A Dynamic Network Oligopoly Model with Transportation Costs, Product Differentiation, and Quality Competition, Anna Nagurney and Dong Li, in press in Computational Economics, we developed a new dynamic model of Cournot-Nash oligopolistic competition that includes production and transportation costs, product differentiation, and quality levels in a network framework. The production costs capture the total quality cost, which, in turn, can also represent the R&D cost. With better R&D, firms may ensure that the consumers get the quality that they expect and deserve. The above supply chain game theory models that we have constructed also allow for policy evaluations and the investigation of such a question as: What if a government would impose a minimum quality standard for a type of product? Pretty cool how game theory can illuminate so much in terms of operations in the real world! Yesterday, my daughter, who is a college student and is on a short break before returning to college, saw several of her friends from western Massachusetts with whom she had attended The Bement School in Old Deerfield. First, they had dinner at the Thai restaurant in Greenfield and, then I suspect, got a bit nostalgic, and returned to Bement in the evening. When she got back home I asked her whether she was happy that she had gone to school at both Bement (from kindergarten through 9th grade with graduation) and Deerfield Academy (10th through 12th with graduation) and she responded that immensely so. Just last weekend, on a beautiful Sunday we drove to Deerfield and I took the photos below of Bement, the historic Main Street, and Deerfield Academy. At Bement, my daughter not only learned French and developed the love of reading and writing and art, as well as of science and math, but also learned how to skate, how to ski, and how to swim. Recesses were outdoors and physical ed could involve sleigh riding in the winter or hiking and sports in the spring. She also learned how to play field hockey which she continued to do when she "crossed the street" to matriculate at Deerfield Academy. There she had teachers that mesmerized, challenged, instructed, and that made a life-long impact. Both at Bement and at Deerfield Academy respect and kindness mattered as well as a sense of community and team spirit. Plus, she remembers fondly the wonderful meals served including the sit-down dinners. It was also great to see that the Deerfield Inn had reopened after being devastated (along with neighboring farms, and other buildings and land) during and after Hurricane Irene and the once in a 500 years flood two years ago. Both Bement and Deerfield Academy were affected by this natural disaster and through the resilience of their communities have recovered and are thriving. This week, my daughter will be seeing friends from Deerfield Academy. Is this a Scientific Guinness World Record -- Attendance at 50 Consecutive Annual Meetings of the Same Conference! I don't think that Guinness in its compilation of World Records has a category for this achievement but perhaps it should. In November, Professor David Boyce, who is both an INFORMS Fellow and an RSAI Fellow, will be attending his 50th consecutive North American Regional Science conference, which will take place in Atlanta, Georgia. His first such conference was in 1964! Walter Isard was the founder of Regional Science and he passed away in 2010 at age 91. I attended my first Meetings of the Regional Science Association in November 1964 at the University of Michigan in Ann Arbor. At the time I was a graduate student focused on my thesis research, and working full time on the side to support my expanding family. Through careful planning, and extraordinary good luck, I have not missed the North American Meetings since. If my luck continues to hold, I will attend my 50th consecutive North American Meetings next November in Atlanta. I have wondered out loud to a few people what I might do to commemorate this event. The likely answer is nothing unusual: give a 20-minute talk, and say hello to the many colleagues I have met over the years, whose friendship I cherish. This invitation to write a few lines for the first newsletter of the North American Regional Science Council presents an unexpected opportunity to say more on this occasion that may interest younger readers, as well as remind some of my contemporaries about the meetings back then. Given Professor Boyce's outstanding scientific contributions, his mentorship and advocacy of numerous students and professional colleagues, and his impact on transportation and regional science globally, I had to do something to honor this very special person. So, I asked the Program Chair of the NARSC conference, Dr. Peter Stenberg, and its Executive Director, Dr. Neil Reid, whether I could organize a special session in honor of Professor Boyce, and they both agreed. The response was wonderful and below I have the information on the session, which will take place at the NARSC conference on Friday, November 15, 2013, from 10:30AM-12:30PM. And, if you see Professor Boyce, in the meantime, congratulate him on his stamina, dedication, and as, he even acknowledges, "luck." David Boyce has served as a faculty member at the University of Pennsylvania (1966-1977), the University of Illinois at Urbana-Champaign (1977-1988), and the University of Illinois at Chicago (1988-2003). He is a Fellow of the Regional Science Association International (2002), the Institute for Operations Research and the Management Sciences (2003), and the American Society of Civil Engineers (2009), and is an Emeritus Member of the Transportation Networks Committee of the Transportation Research Board. He has published over 190 journal articles, books, book chapters and reports. Who is Reading and Ranking Your Child's College Admissions Applications? As the new school year approaches, I can't help but think of the rising high school seniors, many of whom will be extra busy applying to colleges this year. 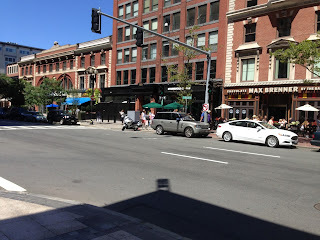 Since I live in the 5 college area (UMass Amherst, Amherst College, Hampshire College, Smith and Mount Holyoke colleges) and teach at UMass Amherst, I often see prospective students and their family members going on college tours. The college admissions process has gotten very challenging, since the competition for places at U.S. colleges is international and the Common Application, which is done online, allows for a student to apply to multiple colleges with essentially the press of a button (and a fee) and, hence, there are many more applicants to highly selective colleges than even a decade ago. Applicant pools are growing larger; the University of Southern California received more than 47,000 applications this year. That’s 10,000 more students than just two years ago, when this year’s applicants were sophomores. Colleges are also becoming more selective. The Ivy League reported an admit rate that dipped to 5.79 percent at Harvard this year. Stanford accepted 5.69 percent of its more than 38,800 applicants. The University of Chicago accepted only 8.8 percent of its more than 30,300 applicants. So who is reading your child's college application with all those important essays that your child has labored over? When a family is on its Great College Tour, where, by Friday, every campus starts to look alike and one almost feels that they could give the presentation better than the admissions officer, one statement stands out from these presentations: Each application is thoroughly read and analyzed by several persons from admissions who then make recommendations to the Admissions Director. The Director then, in a "highly emotional process," makes the final decision on admission. Living in an academic town, we have often heard stories that contradict this. Most involve who actually reads the application. In today's New York Times Education Life, there is an essay by Ruth Starkman, Confessions of an Application Reader: Lifting the Veil on the Holistic Process at the University of California, Berkeley. Ms Starkman is not a member of the Berkeley Admissions Staff, but taught at another instiution in the Bay Area. She read and ranked (from 1 to 5) admissions packets for Berkeley as a part-time job. She lasted only a year because she did not feel comfortable with the process. I urge you to read her essay, since what she was told by senior admissions readers will shock you, I am sure. I have heard stories that one of the locals in Amherst reads for more than one college/university and that a parent read and evaluated for their alma mater (a highly selective college) applications that were from students in competition with their own child's, who had applied to the same college. Apparently, outsourcing is now being done in college admissions regularly, but there are also serious question of conflicts of interest, as well. In reflecting on the task of reviewing applicants, the task appears daunting time-wise, which is likely the reason that (some) colleges and universities are now outsourcing the reading and ranking of applications. Consider a generic elite institution that receives about 24,000 applications a year and accepts about 10%. The reading needs to be performed during a 6 week period January 15 - February 28. If each application has 3 readers, each of whom spends 8 minutes on an application, this translates to 9600 reader-hours total or 1600 reader-hours per week. It would take 40 readers, doing nothing else than reading 40 hours a week to read and rank the applications. It's more likely that an individual cannot process that many per day making the total number of needed outsourced readers more likely well over 100. Going to the next stage, even if the readers essentially knock 80% of the applicants out of the pool, the Admissions Director is left with 4800 applicants to sort out in a 2 week period, a task that would take 400 man-hours at 5 minutes per application. With so many readers, how do you have any consistency?! Of course, what time of day your child's application is read will certainly also have an effect. It is a marvel that anyone gets into college these days. No wonder having a college degree is so valuable. The air is now cooler in New England, some of the leaves are starting to fall, and there is a crispness and excitement in the air about the beginning of the new academic school year. 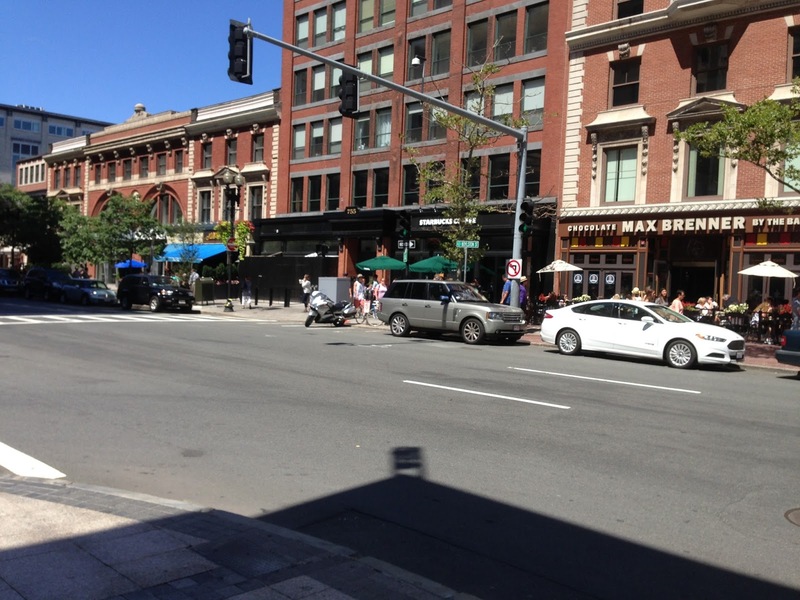 This year I have been on sabbatical from the Isenberg School of Management at UMass Amherst and since school begins in less than a month and I have already started to revise my lectures it is a good time to take stock of what has been accomplished. It has, all in all, been a truly fabulous year and I thank my colleagues for the wonderful collaborations and visits and memories. I hope that all the research and experiences will enrich my teaching this year and beyond. Being appointed a Visiting Professor of Operations Management (applied because of a job ad in The Economist, one of my favorite publications) at the School of Business, Economics and Law at the University of Gothenburg in Sweden. Living and working in Sweden has led to numerous friendships and has deepened my research and scholarship. Thank you, thank you, thank you! Being awarded the 2012 Walter Isard Award at the NARSC meeting in Ottawa, Canada last November. This honor and recognition for my research I will always treasure. Truly special teaching experiences from teaching Supply Chain Network Theory and Operations Management at Gothenburg to giving a course on Humanitarian Logistics and Healthcare at the Vienna University of Economics and Business in March 2013. My former doctoral student, Professor Tina Wakolbinger, was one of my hosts there, which made the experience even more special. I learned an immense amount from the students, as well. 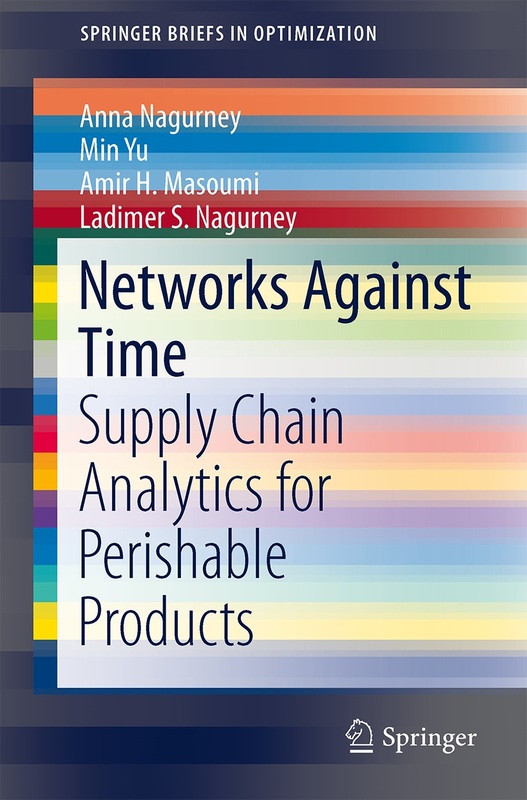 Having my book, Networks Against Time: Supply Chain Analytics for Perishable Products, co-authored with Professor Min Yu, Amir H. Masoumi, who received his PhD in May 2013 from the University of Massachusetts Amherst and is my 17th doctoral student to graduate, and Professor Ladimer S. Nagurney, my husband, published by Springer. Organizing and moderating the Dynamics of Disasters Symposium at the AAAS meeting in Boston in February 2013 at which Professors Laura McLay, Panos M. Pardalos, Jose Holquin-Veras, Tina Wakolbinger, and David McLaughlin took part. Working with a fabulous multiuniversity team of computer engineers and computer scientists on our NSF project, Innovation Through Choice, which has been selected as one of the 5 Future Internet . Architecture projects. This project is supporting one of my two new female doctoral students in Management Science and this year we have had multiple paper acceptances -- very exciting! Giving invited seminars at Penn State Malvern, where I was hosted by another former doctoral student of mine, Dr. Patrick Qiang, at the University of Oklahoma, as part of its Dream Course initiative of President Boren, at UMass Amherst in its Computational Social Science Initiative, at the Vienna University of Economics and Business, and at Chalmers University of Technology in Sweden. Being invited and taking part in The New York Times Energy for Tomorrow Conference in NYC on April 25, 2013, where I spoke on the Transport and Traffic panel, moderated by New York Times columnist Joe Nocera. I also had the pleasure of being interviewed by Kirk Johnson of The New York Times on the failure of the CRC bridge project in Portland/Vancouver and one of my hosts in Sweden, Professor Jonas Floden, and I were interviewed by a journalist from San Francisco for SmartPlanet on Gothenburg's congestion pricing scheme. It is such a high to see your research in transportation and logistics getting recognized in the media and in practice! 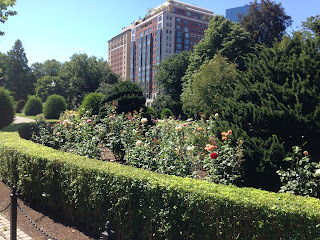 Just last week I was in NYC (I am at heart a New Yorker) and was interviewed by a curator at the Smithsonian's Cooper-Hewitt National Design Museum for a new exhibition that is in the works. I love talking about networks and how they impact our world! Another true highlight was giving a plenary talk at the Network Models in Economics and Finance Conference on Athens, Greece in June 2013, where I spoke on Network Economics and the Internet. Just prior to traveling to Athens, I had the honor and pleasure of giving the graduate commencement speech at the School of Business, Economics and Law in Gothenburg. My theme this year was On Great Leadership. I guess they liked my commencement speech last year,which was on Life as a Network! Another high was being asked by the Editor of ITOR (International Transactions in Operational Research), Professor Celso Ribeiro of Brazil, to identify several female scholars to add to the editorial bard of this journal. Marvelous to have male colleagues recognize the importance of diversity on journal editorial boards and both of my recommendations are now new Associate Editors! Being invited, and taking part, in the UMass Amherst Rising Gala to mark the 150th birthday of UMass Amherst! How often does one get to meet a female astronaut, Cady Coleman, who received her PhD from UMass Amherst, and to listen to Ken Feinberg, another UMass Amherst alum, whose outstanding work on victim compensation from 9/11 to the Boston Marathon bombings through One Fund Boston is well-recognized. Both Cady and Ken were masters of ceremonies of this memorable evening. Having the Nagurney Scholarship been made official. I believe that one should give back -- whether to the schools that have educated you and your family members or the colleges and universities that have employed you. Sometime next year the first recipient, which will be an Operations Management major at the Isenberg School, should receive this scholarship. Thanks to those at the Isenberg School and UMass Amherst that supported this and somehow we managed to get the paperwork through while I was in Sweden! Those of us who live in the Northeast of the US have had another tough year in terms of natural and other disasters, from Superstorm Sandy to the Boston Marathon bombings. Our resilience and strength have been challenged and we take support from our communities. In 2001, Stanley was honored with the prestigious “Roebling Award” from the American Society of Civil Engineers (ASCE) NY Metropolitan Section for his lifetime achievement in the field of Bridge Engineering. He was deeply grateful to his colleagues at Gandhi Engineering for their nomination to this prestigious award. His most notable accomplishment was the design of the Hale Boggs Bridge (I-310), the first-major cable-stayed bridge in the US, spanning the Mississippi River at Luling, LA. The Boggs Bridge, with its then record-breaking span and steel towers, won the ASCE Outstanding Civil Engineering Achievement Award for 1984. The aerodynamic design of the welded orthotropic deck of the bridge was awarded the Lincoln Arc Welding Foundation 1984 First Prize. Between 1983 and 1987, Stanley was responsible for the emergency engineering, redesign and replacement of the fallen Mianus River Bridge on I-95 in Greenwich, CT. This undertaking precipitated the formulation of the nationwide infrastructure renovation program, which continues to this day. Other notable designs and projects include the I-195 Braga Bridge in Fall River, MA, the Tennessee River Bridge in Pittsburg, TN, the 13th Street Bridge over the Ohio River in Ashland, Ohio and the replacement of the City Island Bridge over Eastchester Bay, Bronx, NY with a cable-stayed structure. 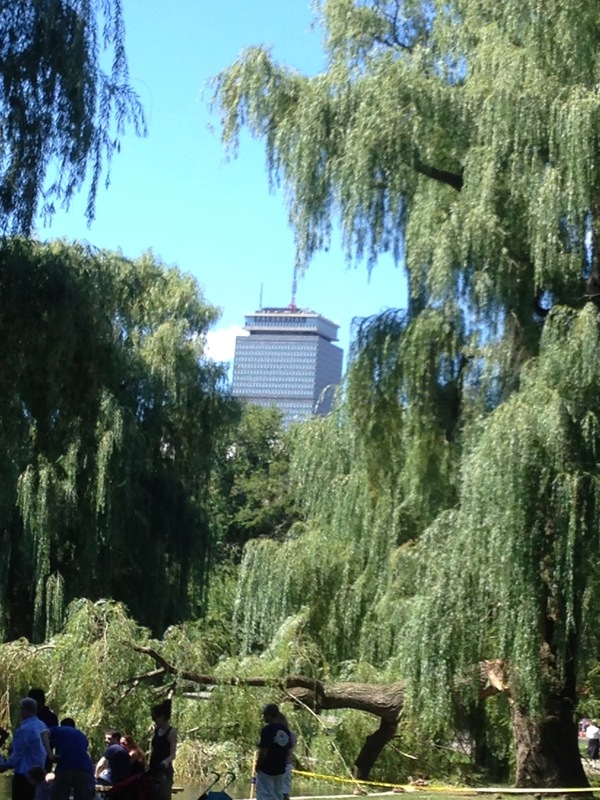 He also served on the 6 - member international panel of experts selected by Massachusetts Highway Department and the FHWA to review the proposed Charles River Bridge designs in conjunction with the Central Artery/Tunnel Project in Boston, Massachusetts. He took great joy in his private pilot’s license, which he obtained in fulfillment of a childhood dream. A self taught musician, he played the viola, piano and mandolin and enjoyed chamber music concerts, the opera and the ballet. He loved learning languages (late in life he read Dante's trilogy in Italian), as well as the fellowship of his engineering colleagues, with whom he delighted sharing his love of great food, wine and the occasional off-color story. With a new academic year on the horizon, I wonder what will this year will bring? Resilience is a theme that resonates among researchers, practitioners, and policy-makers. Michael Batty, in his editorial, Resilient cities, networks, and disruption, in the latest issue of Environmental & Planning B, argues that: Resilience is a more precise term than sustainability and, although it has some rather ill-defined properties, resilience can be defined relatively unambiguously, making it somewhateasier to apply to complex systems like cities. I would argue that sustainability is a key building block of resiliency whether it comes to cities or supply chains, which span our globe and, interestingly, my paper, "Design of sustainable supply chains for sustainable cities," is now in press in Environment & Planning B.
I have written a lot on network vulnerability, including that of supply chains, as well as robustness and synergies associated with partnerships and teaming and even mergers and acquisitions. 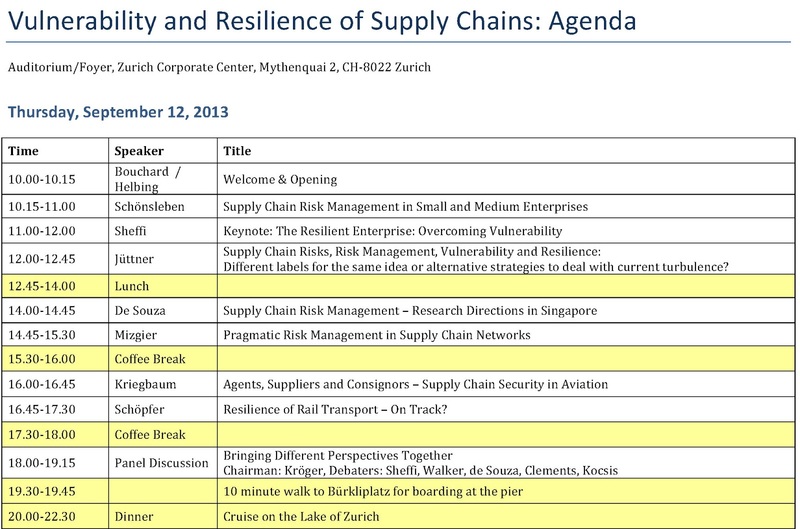 So, when the invitation to attend the ETH Risk Center Workshop on Vulnerability and Resilience of Supply Chains -- see information below came -- I was very intrigued and accepted to speak. I am honored to be in such a great lineup and I am sure that there will be many stimulating presentations and discussion! The talk that I am preparing for this workshop is: Networks Against Time: From Food to Pharma. I will discuss some o fthe major methodologies, models, and applications in our latest book Networks Against Time: Supply Chain Analytics for Perishable Products. Hope that some of you can join us in Zurich, Switzerland for the workshop next month! What kinds of hazards are there? What are the challenges? What does the interaction of regulators and the industry look like during a critical event? What are the critical parts in supply chains seen from the different perspectives? How can one identify them, what could be improved? The workshop will run for two days, with an evening dinner cruise on Lake Zurich after the first day. Two sessions each day will consist of talks by invited speakers and there will be a panel discussion at the end of each day. The poster session offers an opportunity for an interactive presentation of your work. If you want to present a poster, please submit a pdf file of it (max. 5 megabytes) to info-riskcenter@ethz.ch. The best posters will be selected for the poster exhibition by the program committee. The submission deadline is July 31. Please click here for your registration to the workshop. There is a participation fee of 200 CHF. Note: The number of participants is limited. The workshop is sponsored by the ETH Risk Center and the Zurich Insurance Group.